We spent the day after Sligachan riding routes on Skye that would appeal to families ostensibly so we could take more nice pictures of my bike, then hopped on the ferry to Mallaig. Sleeping that night back on the mainland in Arisaig we woke to the sun rising over a white beach and blue sea. 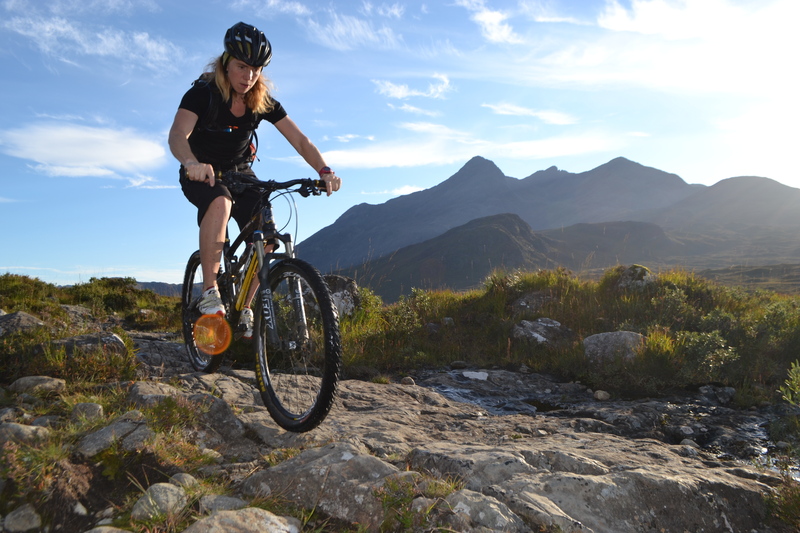 We drove to Fort William and straight to Nevis Cycles. When it comes to checking out trails in an area that’s not your own there is no better first stop than the local bike shop. Dougie helped us out with our route choice for the day. We took little encouragement to ditch the 6 hour bog trot we had planned and instead rode some amazing trails around Cow Hill and the West Highland Way. A quick spin up the Caledonian Canal then northwards to Inverness base camp. Tomorrow I ride closer to home for a couple of days. If I can continue to make my legs go round.